Goal: At this level, live player pitching is used exclusively. This is the second year of player pitching. 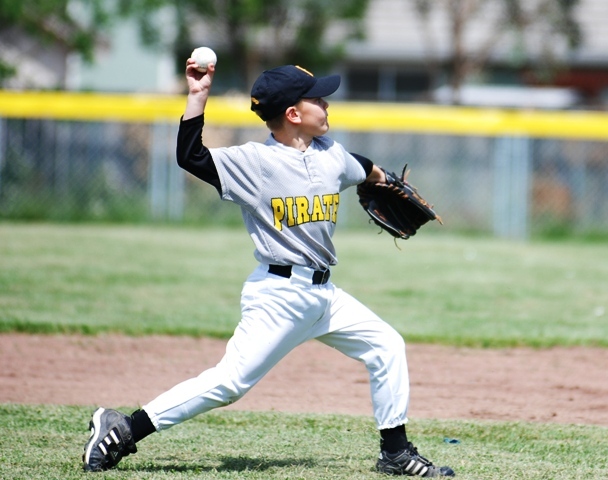 Pitching skills are taught to all who would like to learn and batters are taught defensive batting techniques. Base running becomes an intricate part of the game. There are three outs per side per inning witha regulation game consisting of six innings. Rotation rules are in effect and enforced to ensure all players receive an equal opporunity to play field and outfield positions. Limits on inings pitching per game are also enforced. Everyone is a winner with success measured on the progress of each individual player and their level of enjoyment.